IN THE TWO years since he assumed office and promised to usher in a “golden age of infrastructure”, President Rodrigo R. Duterte has put money where his mouth is. Boasting that, by his term’s end in 2022, multiple roads, bridges, ports, and airports will rise across the nation, his Build, Build, Build program now has a potential bill upwards of PhP8.4 trillion that will come from public funds, private monies, and loans.. 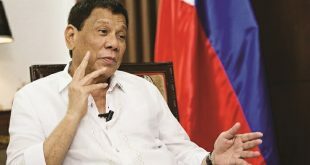 Apparently, the bigness of the projected bill of Build, Build, Build — about 5.4 percent in 2017 to 7.4 percent in 2022 of gross domestic product, or PhP8.4 trillion in all in five years (compared to the PhP2.4 trillion or so total infrastructure budget during the Aquino administration’s six years) — has also magnified multiple-fold the opportunities as well as the costs of corruption. And with the focus often on the money to be made, many projects have wound up suffering from poor planning and monitoring, and are awarded with unsettled right-of-way or in some areas, security issues, among others. Under Arroyo, when profiting from infrastructure projects were more or less an open secret, kickbacks came in the form of “tong-pats” (patong) or an amount added to the actual cost of the project to accommodate the commission rate of local politicians.. According to contractors, the rate at the time was about 12 percent of the contract price. Prior approval of the head of the procuring entity — in this case the Davao City 1st District Engineering Office — is required as well before subcontracting is allowed. 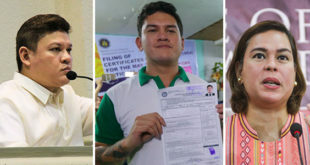 But District Engineer Wilfredo Aguilar and Assistant District Engineer Milagros de los Reyes of Davao City said that no application for subcontracting has been processed by their office. They said, though, that it is possible that Genesis 88 may have rented its equipment to Three W or Three W hired Genesis 88’s employees for the project. “Kaya sinasabi ko sa inyo, I’m exacting now something of like this. ‘Yang project mo pagka pumalpak (If your project fails), I will hold the Secretary responsible,” Duterte added. According to Villar, DPWH has used the system to identify the 43 contractors currently facing suspension over delayed projects. One of the 43, R.C. Tagala Construction, which is now operating under the name Syndtite Construction Corporation, was recently blacklisted for one year beginning Aug. 16, 2018.
campaign donation said to have been given by the Villars to Duterte.